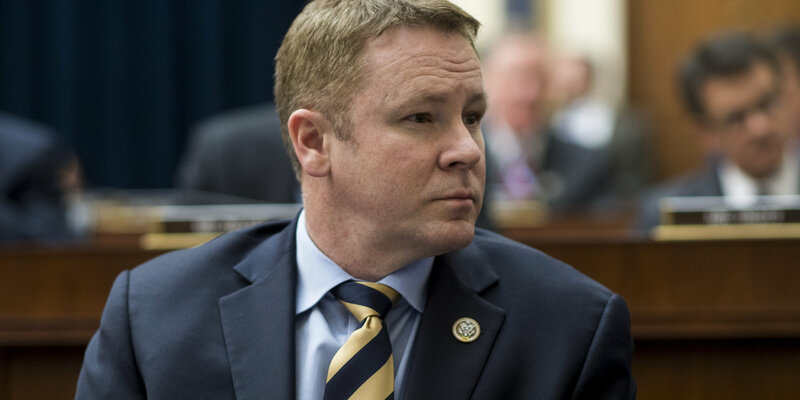 Rep. Warren Davidson (R-Ohio) told the mother of a service industry worker who has benefitted from the Affordable Care Acts Medicaid expansion that her son should get a better job if he wants decent insurance when Obamacare is repealed. The woman, a constituent of Davidsons in former House Speaker John Boehners old district, explained to Davidson at a town hall in Enon, Ohio on Tuesday night first covered by ShareBlue that her grown son lacked health insurance for four years, because his job in the service industry did not provide it. He received coverage through Medicaid when Obamacare expanded the program by offering to pick up almost all of the costs for states that lowered their eligibility thresholds. She is now worried about President Donald Trumps plan to rollback the landmark laws Medicaid expansion, fearing it will leave her son with the bare-bones catastrophic health insurance, which, she said, is basically no insurance at all. Can you explain why my son and millions of others in his situation are not deserving of affordable, decent health care that has essential benefits so that he can stay healthy and continue working? she asked. Her sons best route to getting decent insurance without Medicaid is to find work in an industry where employers provide it, according to Davidson. OK, I dont know anything about your son, but as you described him, his skills are focused in an industry that doesnt have the kind of options that you want him to have for health care. So, I dont believe that these taxpayers here are entitled to give that to him. I believe hes got the opportunity to go earn those health benefits, he responded, eliciting boos from the crowd. You can watch their full exchange at the 37-minute mark in the video above. The womans reference to essential benefits alludes to the fact that House Republican leaders at one point tried to win over hardline conservatives by removing federal regulations requiring insurance plans to cover 10 basic benefits, including trips to the emergency room, as well as maternity and newborn care. In lieu of these benefits, low-premium, high-deductible catastrophic plans could cover even fewer procedures than they do now. But Davidson implied that finding a better plan was as simple as shopping for a higher-quality consumer product like a cellphone. If he doesnt want a catastrophic care plan, dont buy a catastrophic care plan. If you dont want a flip-phone, dont buy a flip-phone, Davidson said, eliciting loud groans from the audience. Im sorry, health care is much different than a cell phone and Im tired of people using cell phone analogies with health care, the woman responded, before walking away from the microphone. 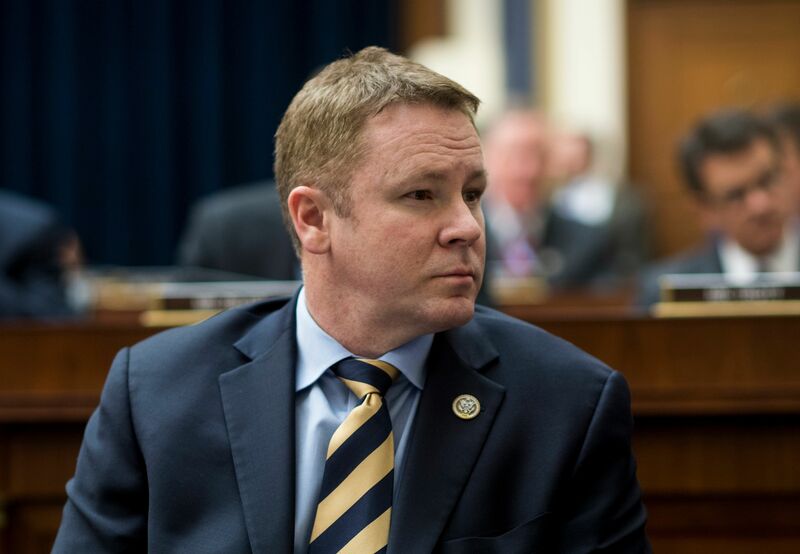 Rep. Warren Davidson represents former House Speaker John Boehner’s old district. He had a gruff response to a constituent’s question about Obamacare repeal. Davidsons metaphor resembled remarks by Rep. Jason Chaffetz (R-Utah), who suggested in March that people should not buy iPhones if they wanted the money to pay for health insurance. But as Davidsons constituent noted at the town hall and many observers pointed out when Chaffetz said it buying health insurance is completely different than shopping for everyday consumer products. Consumers do not have the same power to command lower prices for health care, since it is not a product they can choose to not have. People also often lack the information and resources to choose a health care provider based on its cost value. Those are just a couple reasons why health insurance is wildly more expensive than paying for a phone bill and obtaining coverage would remain perilously out of reach for millions of Americans without help from the government. Thats a big deal, because unlike phones, Americans lives would be at risk if they did not have health care. Although President Trump and House Republicans have already failed to negotiate an Obamacare replacement bill at least twice, the White House is dead-set on trying again as part of negotiations to continue funding the government. The latest idea floated by budget director Mick Mulvaney would involve trading Democrats a dollar in Obamacare funding for every dollar they approve for construction of the wall.